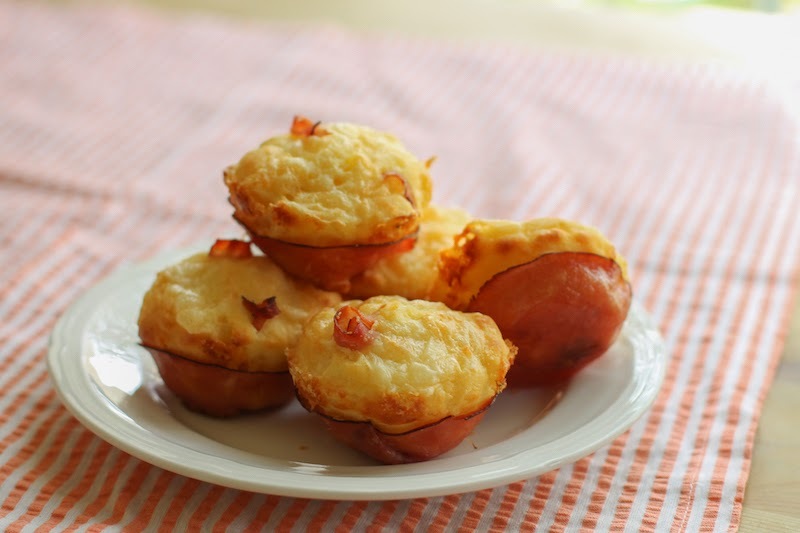 These guys are savory muffins, replete with cheese, baked in a ham cup. Nuff said. They might not cure what ails you, but they help. This has been a shite week, as my British friends would say. No kidding. Bad news on several fronts. And while some people eat chocolate or turn to liquid consolation, I tend to bake and pray. And I try to understand why some things happen the way they do. To nice people. And why some nice people DO the things they do. When the decision is so obviously detrimental. So, as I said, I pray about it. For health, for understanding, for acceptance, for direction. And I bake stuff that I want to eat. 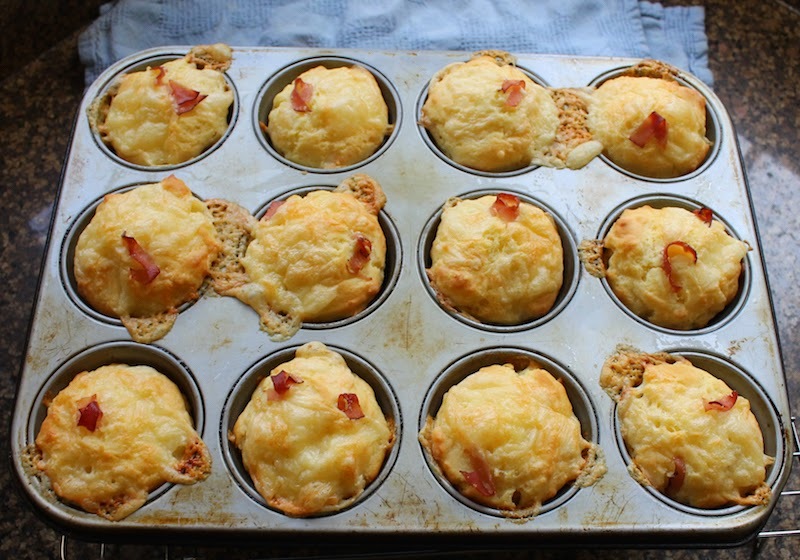 Which means that this week, it’s a savory muffin. Can’t say I’m feeling a whole lot better, but at least I’m not hungry on top of that. How do you console yourself? All suggestions welcome. 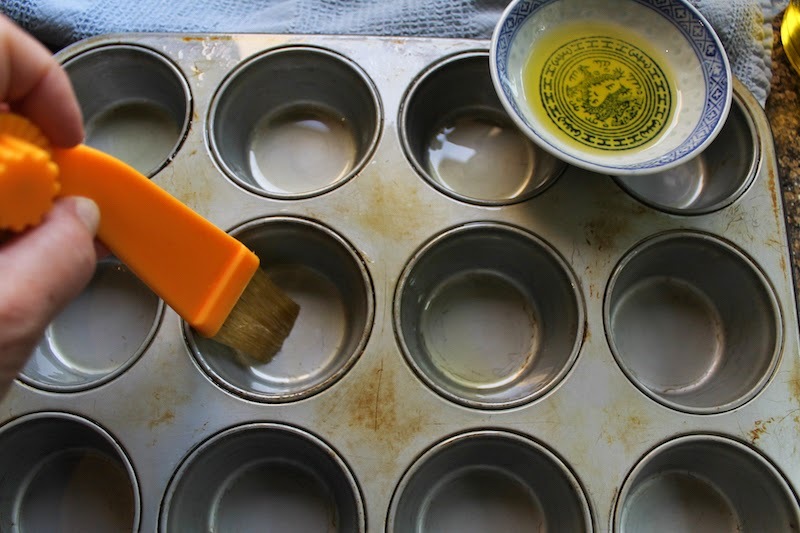 Preheat your oven to 350°F or 180°C and prepare your 12-cup muffin pan by greasing it liberally with the olive oil using a pastry brush. 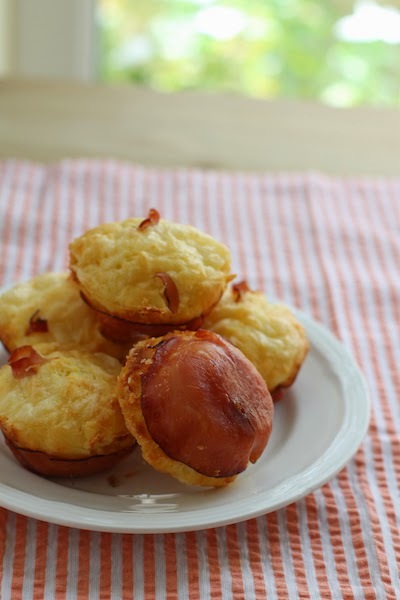 Line each muffin cup with a circle of ham. 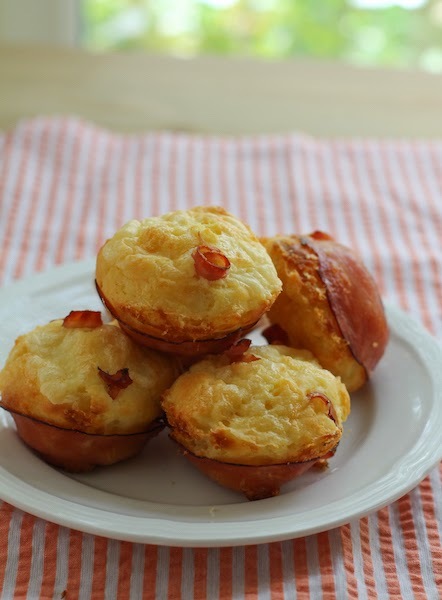 Cut the cheese into small chunks and set aside a good handful for putting on top of the muffins before baking. 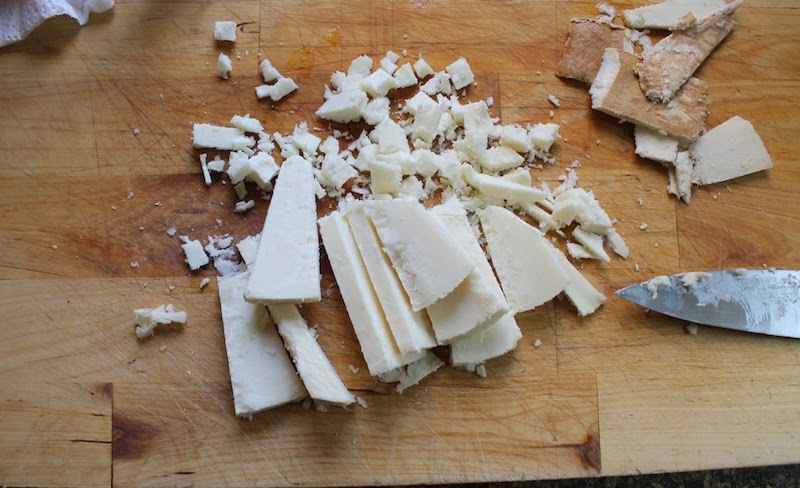 (Cut the rind off and discard, if there's a rind.) Cut the extra slice of ham into pieces. 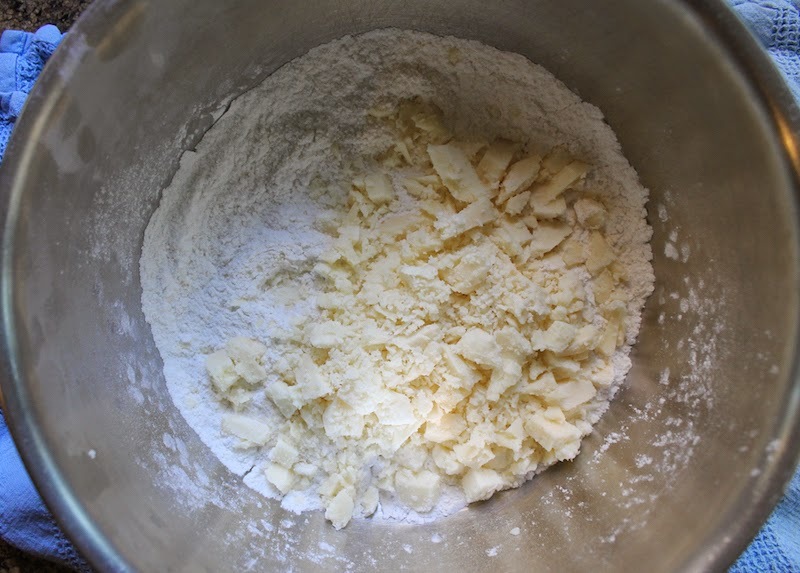 In a large bowl, mix together your flour, the bigger pile of cheese, baking powder and salt, making sure that the cheese is well coated in flour and is not sticking together in clumps. 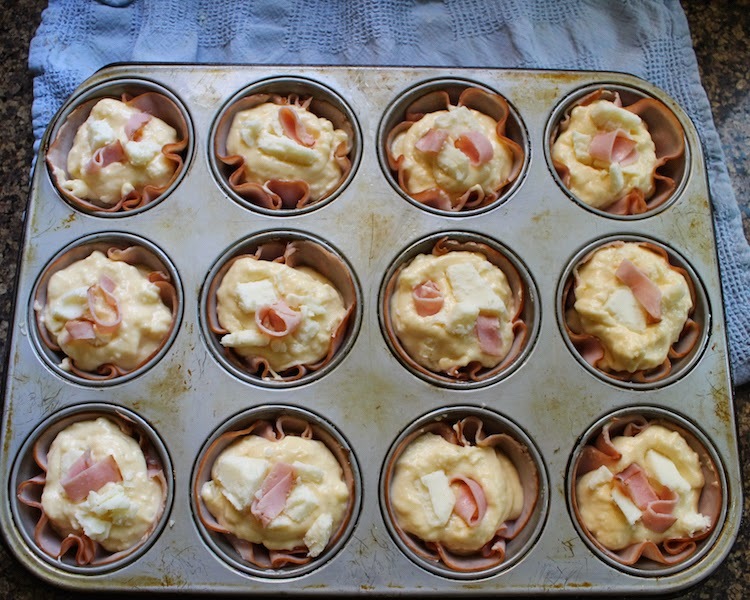 In a smaller bowl, whisk together your eggs, milk and oil. 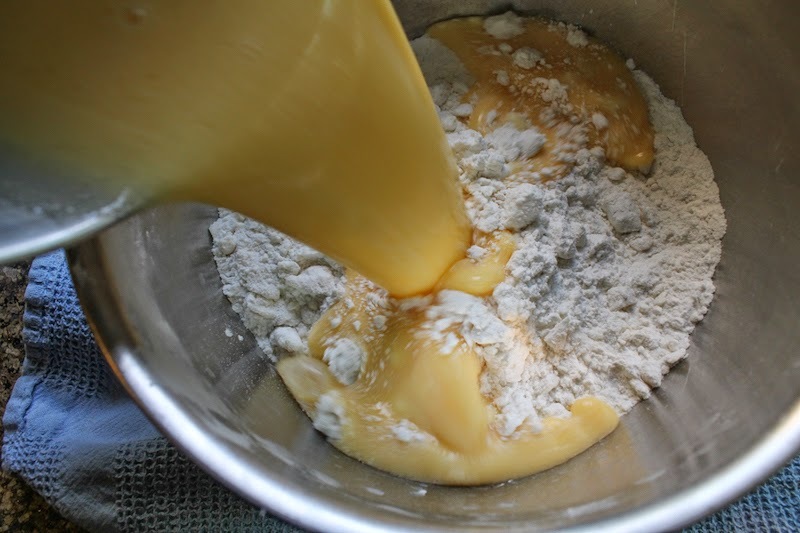 Pour your wet ingredients into your dry ingredients stir until just mixed. 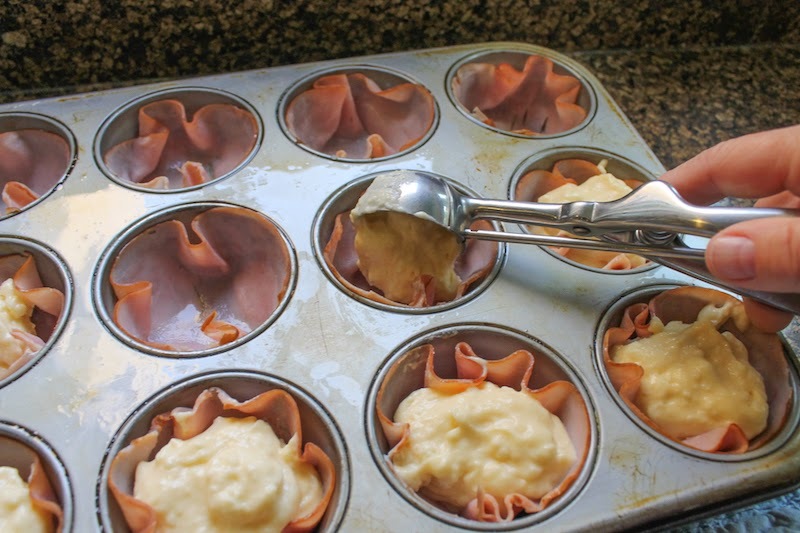 Divide the batter between the muffin cups, holding the ham up on one side with a finger while you spoon the batter in, if necessary. Top each with the reserved smaller pile of cheese and a piece or two of ham. 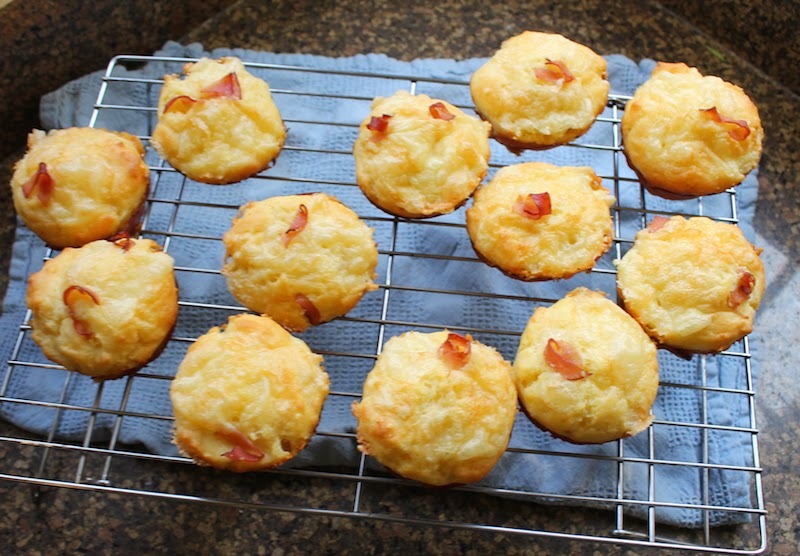 Bake in your preheated oven for 20-25 minutes or until the muffins are golden and a toothpick comes out clean. 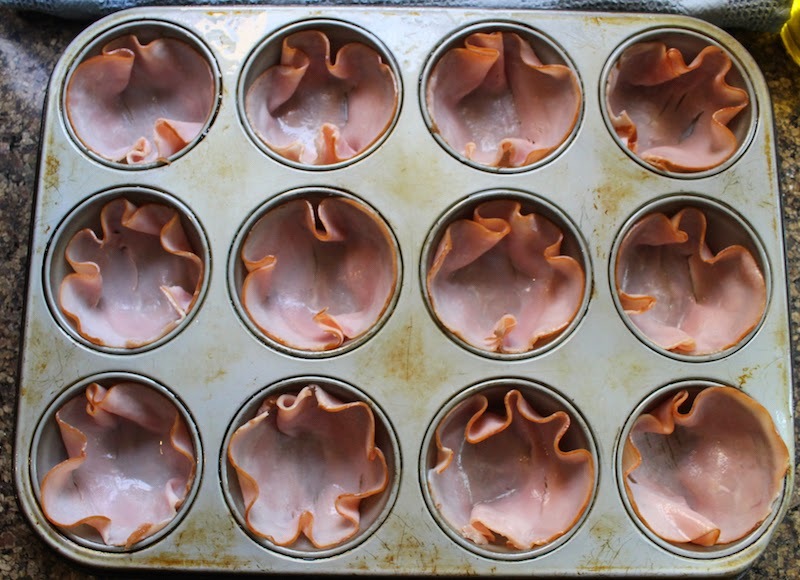 Cool in the pan for a few minutes and then run a knife around the muffin pan to set the muffins free. Remove to a wire rack to cool completely.